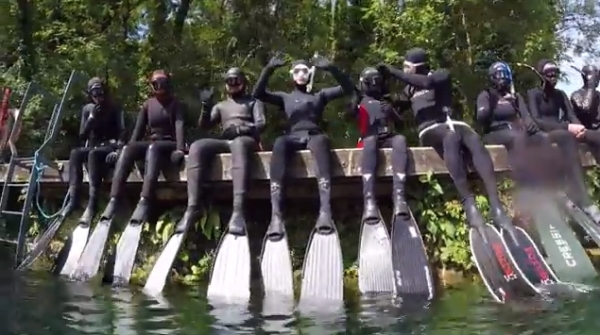 What Happens On A Freediving Course? 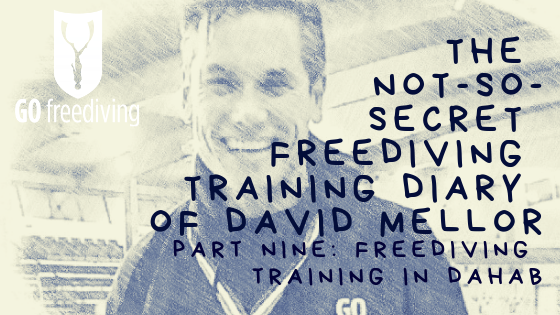 Ever wondered what happens on a freediving course with Go Freediving? 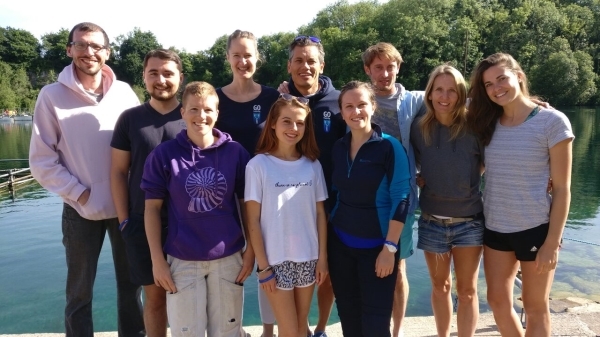 We followed our latest students Joshua, Angelique, Kieron, Genevieve, Anna, Lou, Rupert and Cassie as they undertook their two day RAID freediver course with us at Vobster Quay in Somerset. The students enjoyed glorious sunshine, fantastic visibility in warm water and experienced incredible freediving. 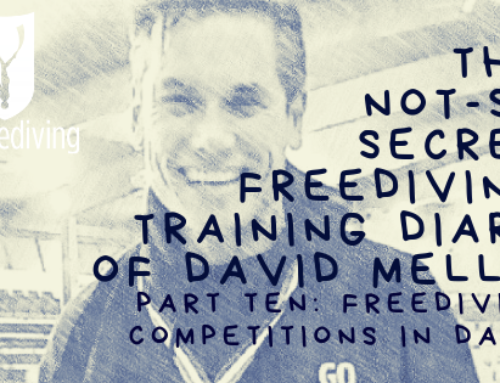 Once a student has booked a course with Go Freediving, they are provided with their welcome email containing a link to their course information – which includes details of how to register with RAID (our chosen course programme provider), the course schedule explaining what happens on a freediving course with Go Freediving, all materials, details of local accommodation, items to bring (all kit and equipment is included in the cost) and links to downloadable administrative papers, such as a medical questionnaire and liability waivers, which need to be signed before the start of the course. 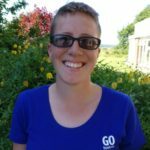 After the student has registered on the RAID website and nominated Go Freediving as their dive centre, Go Freediving is able to gift the student their online course materials and assign their instructor. This is when the fun starts! Prior to attending their course all students are required to complete the online study programme, mini quizzes and knowledge checks. This part of the course takes on average 1 – 3 hours, which students can do in their own time. There is no requirement for the online coursework to be completed in one sitting. 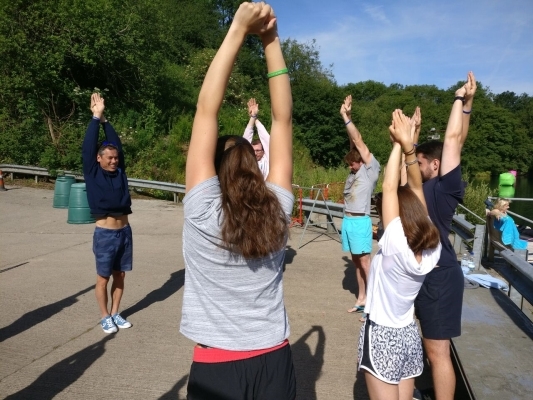 Many students will complete sections of the course as and when they are able to do so in the days or weeks leading up to their confined water and open water course sessions – the core part of the course. 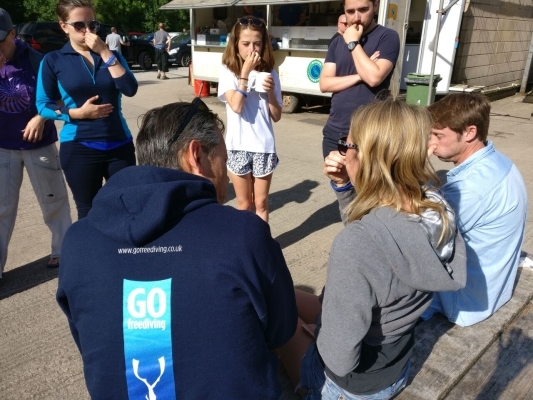 On day one of the practical element of your freediving course, you will meet with your instructor/s who will be waiting for you at the designated location for your confined water skills training. The first part of the day will be spent in the classroom checking through paperwork and running through the schedule before the first theory session of the course begins. Here you’ll learn all about freediving equipment, what makes it so special, how to choose the right equipment for you and how to breathe correctly before and after a freedive. Then it’s time to hit the water! 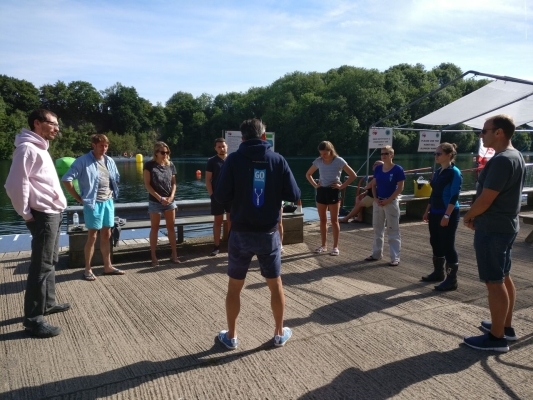 The confined water session is where you will undertake a number of skills and technique training to prepare you for your open water diving. 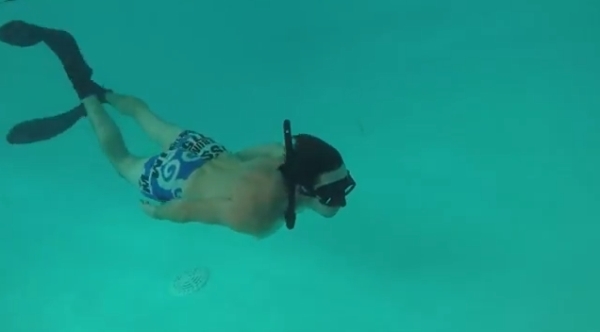 You will practice breathing, body positioning, finning, equalisation, duck diving, buddying, buoyancy, dynamic apnea, rescue techniques and more. After the session, you will de-brief and complete your log books before breaking for lunch. 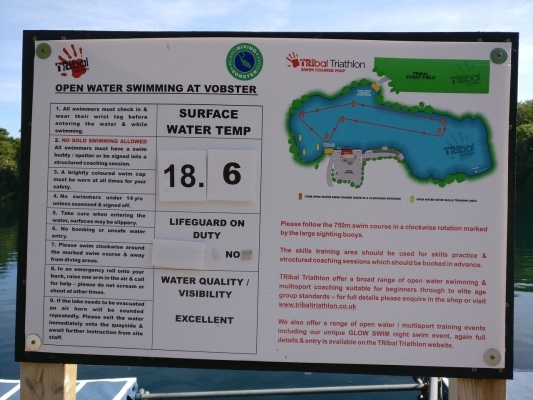 After lunch you will change venue and head to the purposed built inland dive centre at Vobster Quay. The location is an outstanding location for dive training and exploring due to it’s visibility, warm, calm waters (there are no currents) extensive fish and marine life and amazing sunken ‘treasures’ to explore – such as Sea King helicopters, planes, cars, caravans and more! 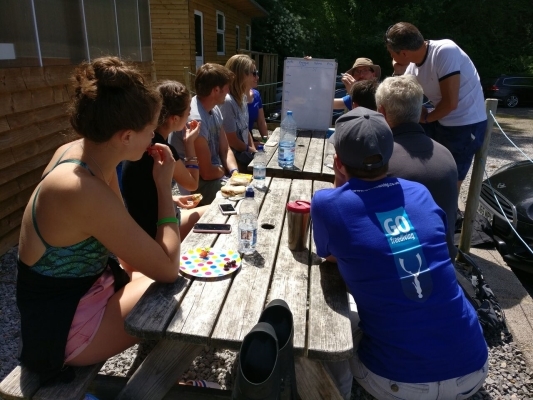 Here you will start with a group learning session, before moving on to your first freedive in open water! Check out our instructor David Mellor, teaching students the Frenzel equalisation technique. In the water you will be guided and assessed as you put into practice the techniques you learned in the pool. Building on these techniques, whilst increasing and pushing your own personal limits at your own pace will be the focus of the afternoon session. When the afternoon session is completed, you will undertake a group debrief before completing your log books and finishing for the day. Day two commences at Vobster Quay – where you will spend the remainder of the day. You begin with a morning stretching session. 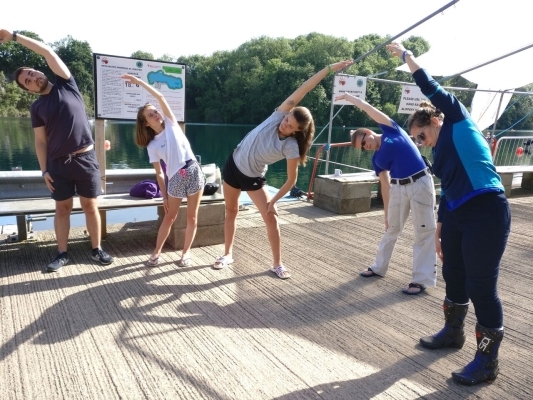 By 9.30am you will be enjoying another open water session, covering and extending on skills learned on day one! By now your confidence should be building and you will have identified any areas you feel may need additional instruction or guidance. Following your morning dive, you will break for another theory session and lunch. 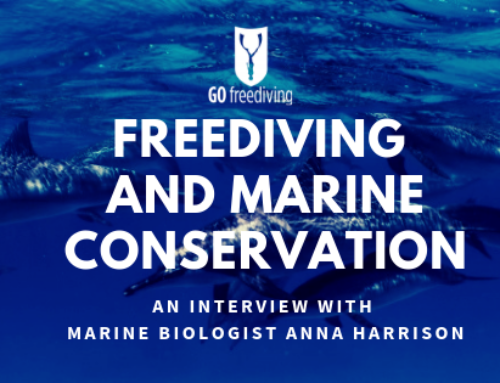 As well as improving your knowledge this is a valuable time to not only get to learn about fellow students but is also a chance to speak with other freedivers from Go Freeding who frequent the dive centre. Your afternoon open water session is the one students love! It is their chance to put everything they have learned over the two days into practice and to explore their new underwater adventure playground! After your final dive, students are brought back to dry land for a debrief, log books and feedback. Your freediving course doesn’t end at the end of day two. The following week you will be sent a debrief email with lots of hints and tips for continuing your newfound hobby. You will also receive a link to a copy of your course video and also feature in our course blog for other future students to watch in awe! If you have been bitten by the freediving bug, you’ll want more! Whether you want to complete your course (not all students become certified on the first occasion) or advance, Go Freediving offers a whole host of courses, holidays, events, club days and club nights to make freediving a wonderful, life long adventure. What did they think of their course? 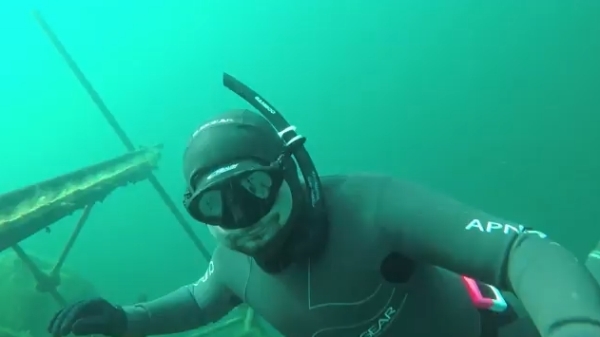 I decided to do a freediving course because of my desire to be under the water, there is something that appeals to me about the silence and the isolation. I just feel that there is something that is calling me to dive down. I have done a bit of freediving in the Philippines, in some of the beautiful lakes there. I found out that you can’t go out on a freediving boat without a freediving qualification. It’s good to have a qualification though and I have learned so much. 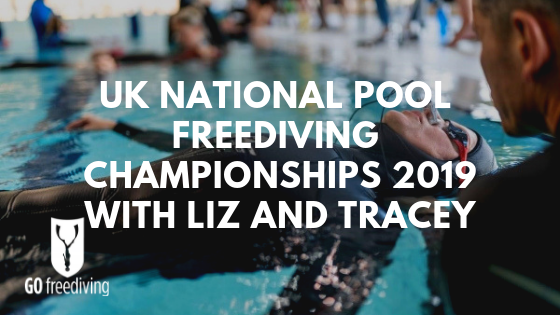 I wanted to know what happens on a freediving course so I googled freediving courses and the closest to me were here in Bath and Welwyn Garden City, which was much closer. But the videos and information you had online about your course was much better and I saw that this lake is very pretty. I also received prompt replies whenever I had questions or anything, which was great. What happens on a freediving course is that you learn there is a lot more to freediving than one would think. 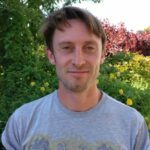 The breathing techniques that I thought were suitable are incorrect and quite hazardous. 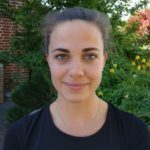 The community of freediving seems to be a nice group of people that have similar interests across the board and not just freediving. It’s a very relaxing way to spend time in a very pleasant environment. The part I enjoyed most was reaching new goals and pushing myself. For me I think that is where scuba diving falls short, you put on the tank and that is it, there is no challenge. With freediving you can set yourself a goal, and it may take months or years to reach it but you can incrementally build up to what it is you want to achieve. It was great to see that even the instructors, who were working, were still having fun and enjoying themselves. The course is very good for your mental strength, for overcoming fears and anxiety, as well as having lots of physical benefits, because you have to regulate your breathing. I think it would be good for anyone with anxiety problems, because you have to go into that place of unknowns. 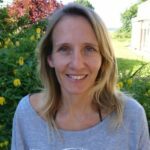 Physically it is great because you are learning about stretching, about the human body, and everyone, even if they do freediving or not could do with more information about how their body works and what you can expect from it if it is treated properly. I watched the Big Blue and used to dive with my brothers and I was the one that could dive to the bottom and pick up shells. I always loved it and wanted to get into it. 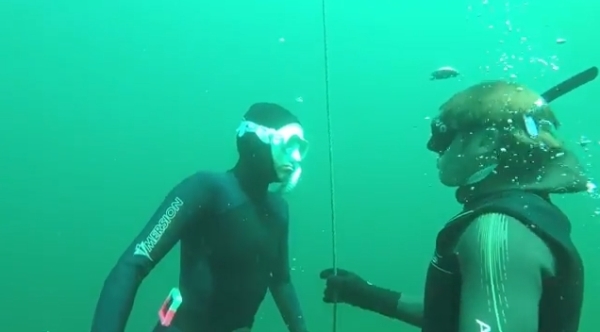 My partner also does freediving and I wanted to learn so that we can freedive together and buddy each other. I found Emma through Joshua but I also googled because I like to do my own research, and you are everywhere with lots of videos of you which helps because I was looking on Youtube for videos. It just looked so organised and this place looked brilliant with loads to see under the water which makes it more exciting. Coming on this course I discovered that I am very frustrated with myself because I desperately want to be able to do it, I can hold my breath for 4 min and quite regularly for 2 minutes so I know that I can do it but when I am having problems equalizing and my brain is thinking about all these other things I start doubting myself. But it’s not put me off and I will persevere. I have enjoyed the course because everyone is so friendly and nice and there is no pressure. I was in a group with the two best students and it was intimidating and I felt I was slowing people down, but the instructor made me feel very comfortable with what I was doing and they were doing what they were doing, so you don’t feel like you need to keep up with anybody and you go along at your own pace. 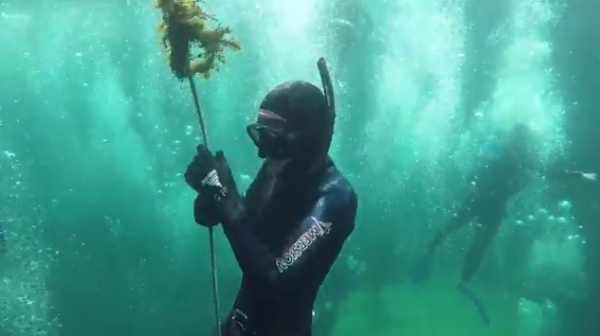 Freediving is something I have wanted to do for a long time, it looks really cool. 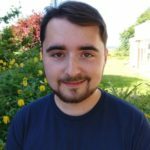 I have done scuba diving and I thought that freediving is something I could do alongside that or even help me improve that. I looked online and this seemed like the best course that wasn’t a million miles away, it was the best course out of all of them. For stunt doubling for films and modelling and advertising you need to be confident in the water. I originally did a PADI course and then realised at work I am not really using any scuba equipment, I am just diving to depth and then been held down there for quite a few hours so having control of my breath is the most important thing and scuba didn’t really teach me that it just taught me the technical stuff. 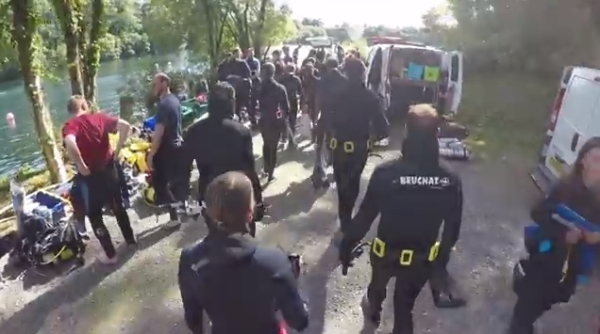 Also RAID is an internationally recognised qualification which is worth having rather than doing some random freediving course because RAID has value to it. I also wanted to get experience and build my confidence up with someone that knows what they are doing. You offered the RAID course, and you have worked with stunt people before and I like your mentality and you are easy going. I like an adrenaline buzz so I like that feeling of being free, it’s fun and it’s a nice challenge because it’s completely you on your own and I think it is good for mental health and anxiety and it helps put things into perspective. 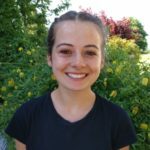 The course is really easy going and you push yourself outside your comfort zone but you know that you have always got someone there for you. There is no way I would feel comfortable doing this this on my own. Even though I am physically capable of doing it, it is nice to know that there are experienced people around that know what they are doing in case I get into trouble. It’s good to learn good habits at the beginning, so I feel like I can go into anything with confidence because I now know what I am doing because I have been taught properly. I started scuba diving when I was 15 and got into marine biology from there so it just always seemed like one of those ridiculous things that you should just do, so the more people told me that it was dangerous the more I wanted to do it! I started following people on instagram and the more I saw it the more I wanted to do it. I was going to be a mermaid. 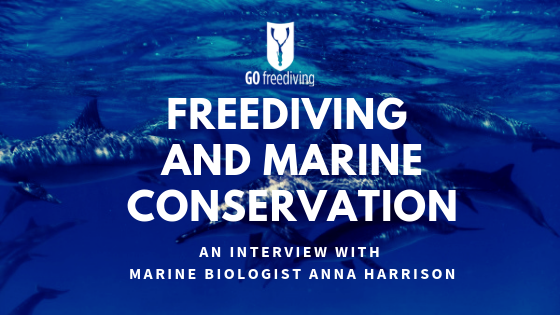 I feel like it was the fear of freediving that drove me to do freediving! 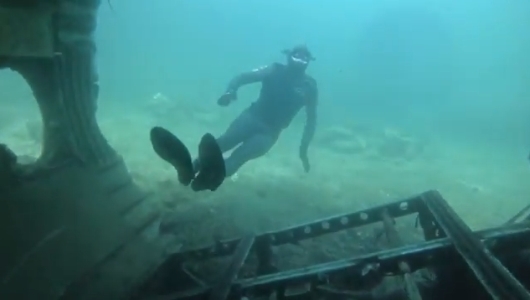 I knew I wanted to do a RAID freediving course and your course came across as the most reputable one. I now know that it is more possible than what I thought it would be and the potential to get better has just increased ten fold. 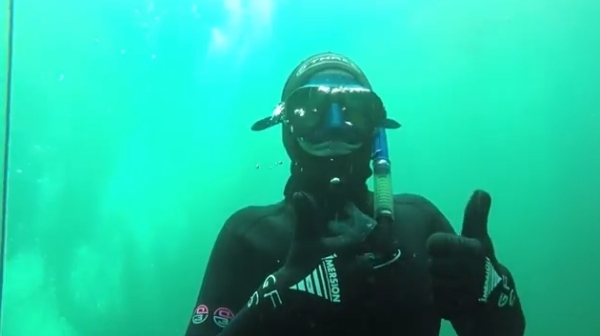 The best thing is being in the water without the scuba gear, I have never been underwater without the heavy scuba gear on my shoulders so I enjoyed a new way to explore underwater. I will definitely be coming back. The opportunity to see other people freediving has been a highlight for me and it has inspired me. I chose to do a freediving course to help me manage my anxiety and to be able to explore the underwater world more comfortably. 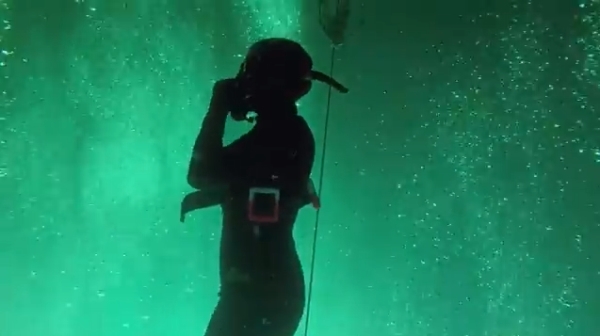 I called Vobster and they put me in touch with Go Freediving. This course has helped me to discover that I need to believe in myself more and that the course is everything that I wanted it to be, I just have to be brave enough to do it. 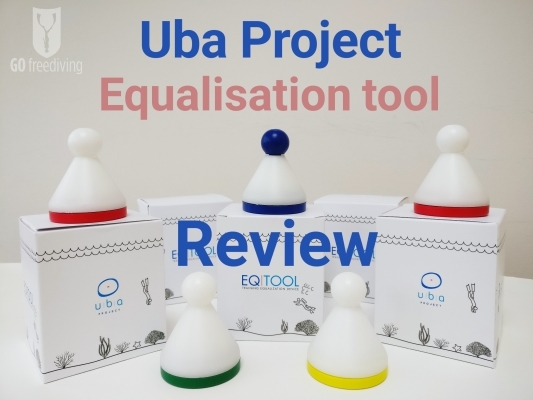 It is incredibly fulfilling and it settles your mind to help you cope with the rest of the day and life in general. The best thing about the course was that I was never rushed and I was able to take everything at my own speed and time. The benefits of the course is that the self control you learn underwater is something you can use in everyday life. Your body is a temple and you need to look after it and the more you look after it the more you actually get out of it. The friends that you meet, the people that you meet, the social side of it is really, really important. If you want to find out what happens on a freediving course – whether you’re a beginner dipping your toes into the world of freediving, a seasoned pro looking to turn professional, or simply a freediver of any level who wants the best freediving holiday in the world, we’re here for you!